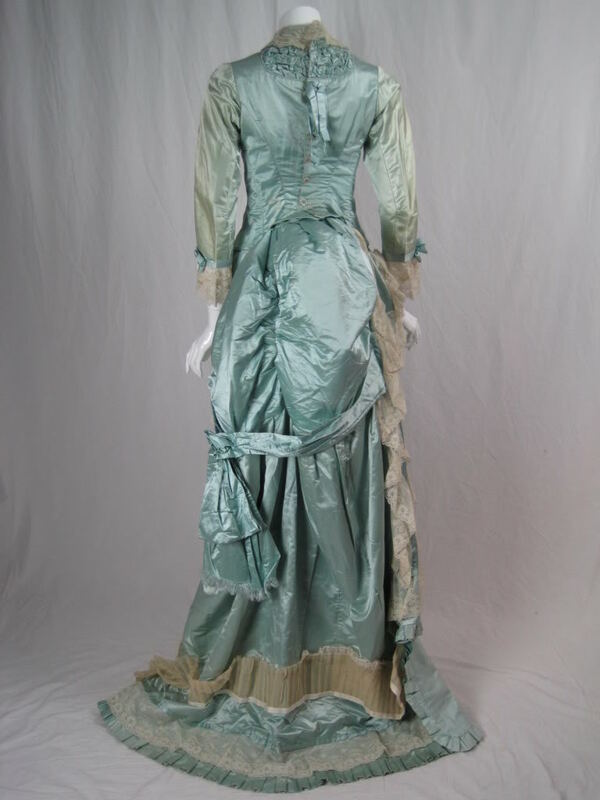 Two-piece bustle gown circa 1875 to 1885. 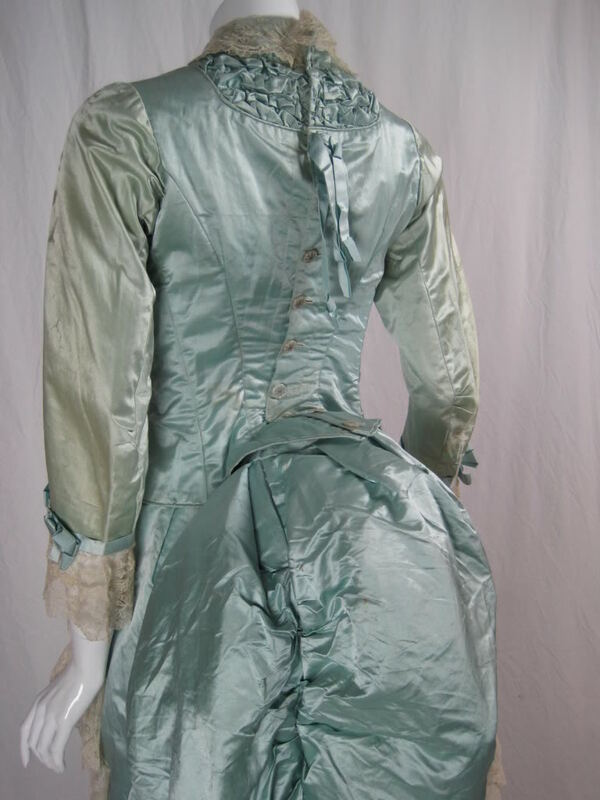 Aqua-colored silk satin. Fully boned bodice buttons down center back with snowflake patterned pearlized buttons. Delicate lace trim around neck and down center front. 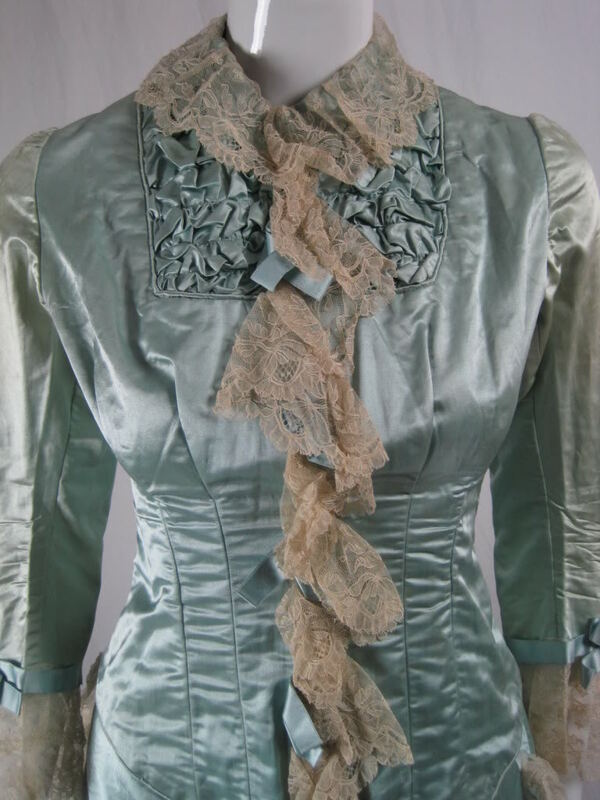 Ruched area at front collar. 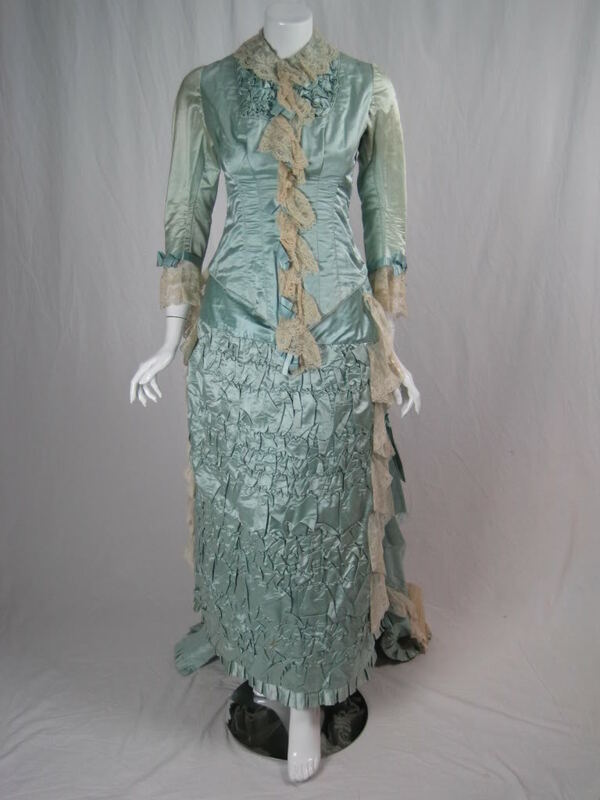 Skirt has a dramatic, highly ruched front and asymmetrical bustle back and is trimmed with matching lace and box pleats. 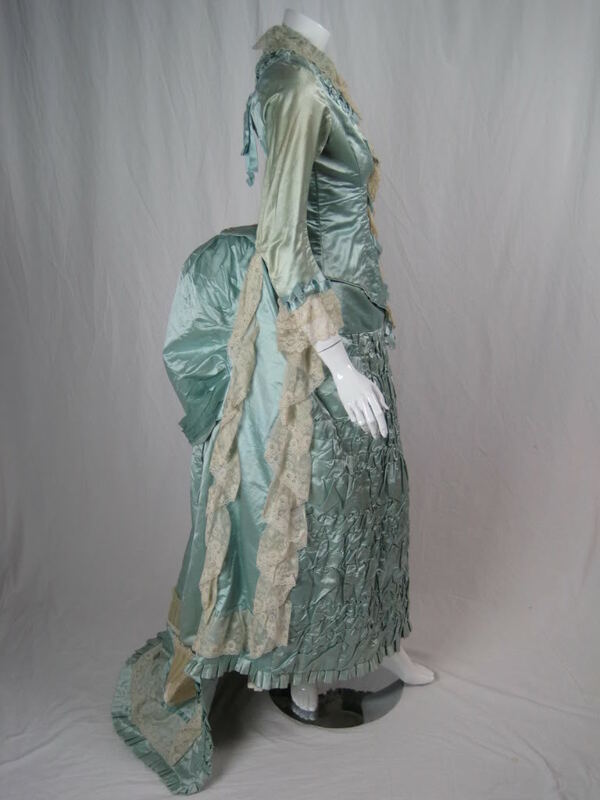 Skirt has left side back closure and large bustle back with a swag of fabric draped across that ends in a half bow. Fully lined. VINTAGE CONDITION: Good to Very Good with fading and shattering on sleeves, light stains on bodice back, and small faint spots on skirt. 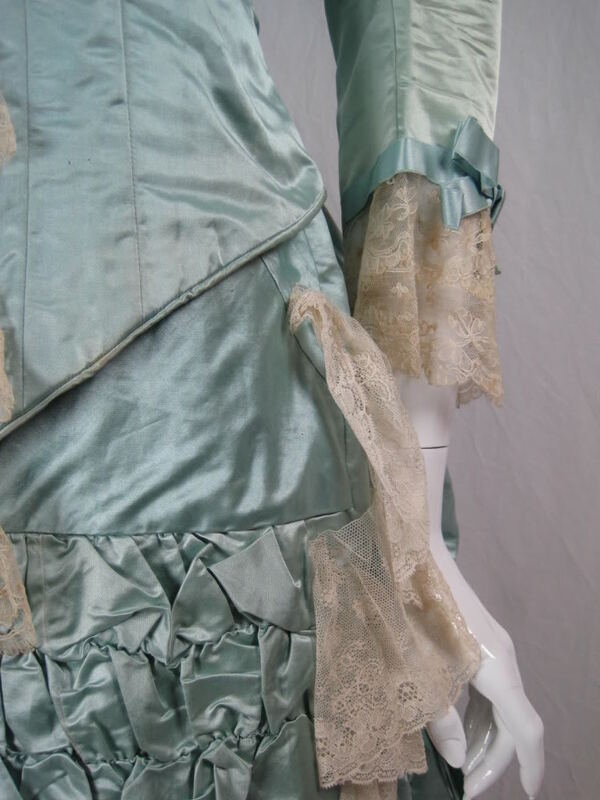 Other than the sleeves, the fabric is extremely strong and wearable. Top button on bodice is a replacement. Pleated dust catcher, which is normally sewn under the train, has been basted to the top of the train. Further photographs available upon request. Center Back Length (Laying flat): 57"
This must have been a beauty in it's day. The details on this with all the extra ruching is interesting.